In our last BookNotes post we described a handful of books about theology – inspired by an academic conference which we attended at Lancaster Theological Seminary on what is called Mercersburg theology (a 19th century, German-Reformed sort of “high church Calvinism”) with papers on the ecumenical trajectory inherent in such thinking about the church and her mission. We got to hang out with Orthodox and Catholic scholars, both conservative and more conventionally UCC pastors, and a few old school Presbyterians. In that column I not only commended a few books about the church (Peter Schmiechen), embodied worship (James K.A. Smith), evangelical liturgy (Melanie Ross) and post-colonial ecumenism (Granberg-Michaelson.) I was particularly excited to commend the very useful new collection of speeches and sermons by N.T. 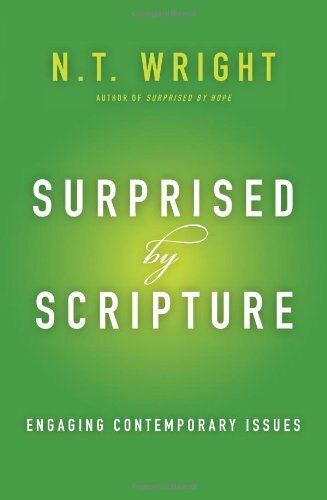 Wright called Surprised by Scripture: Engaging Contemporary Issues (HarperOne; $24.99.) As we often do here at the bookstore’s BookNotes blog, we offered these at 20% off. Just click on the “order” link at the bottom of that review. I suggested that this new Tom Wright book shows how good Biblical scholarship should work – helping us in faithful ways to imagine our world as made and being redeemed by the triune God, known in the person of the cosmic King, Christ, Himself, whose life, death, resurrection and Spirit transforms and empowers us and is loose in the world. As we live our lives out of this central Biblical story – the true story of the whole world (as the book by Craig Bartholomew and Mike Goheen put it) — we can see new ways to help solve the world’s pressing problems, and come up with creative, even surprising, initiatives to bring healing and hope to this beautiful, broken planet. I said that Wright gives us a way to answer the “so what?” question. What difference does our thinking and studying and debating make? We should ask this of theology and worship and we can ask it of scholarship of all kind. Of any of the books you are reading, it doesn’t hurt to ask – does this bear fruit of goodness, or not? And so, today I am glad to tell you about a book which also glowingly passes the “so what” test. In a day or so, then, I’ll tell you about two similar ones, too; these are books that can impact your life, making a significant difference in your own faith and discipleship, enlarging your heart and inspiring you to a better vision of a better life. I recommend these with great enthusiasm, rejoicing in their wisdom and goodness, and their practicality. Today, I want to introduce you to the work of my friend Marlena Proper-Graves, a woman with a passion for justice and a heart of hope, who has written a book about our interior lives, and how to practice the presence of God, even in our crazy, often hurtful, stressed out world. 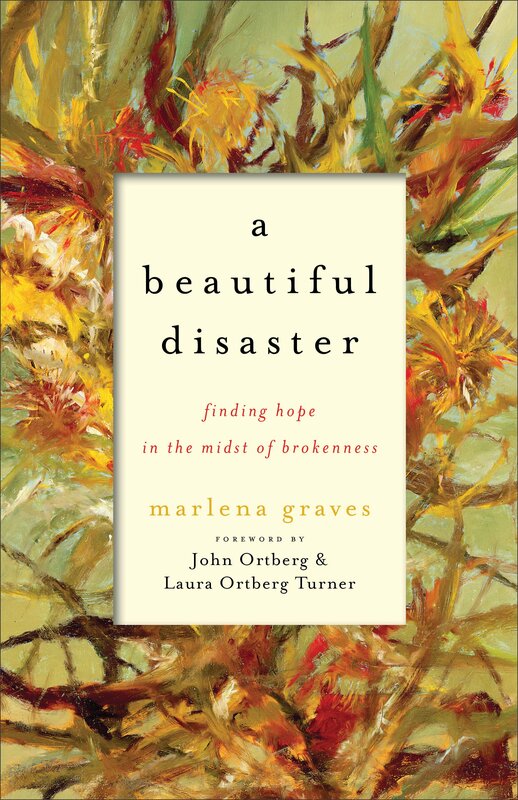 A Beautiful Disaster: Finding Hope in the Midst of Brokenness Marlena Graves (Brazos Press) $15.99 – our sale price, $12.79. Marlena is a good thinker (and it doesn’t hurt that her husband and partner in crime is a philosophy professor) and a bit of a social critic, to boot. If a book is going to pass that “so what?” test, it’s going to have to have some guts, the willingness to poke at sacred cows and offer a social vision that is relevant and redemptive for our complicated 21st century. Graves brings it, fearlessly and wonderfully. Rachel Held Evans (a popular and feisty writer herself) calls this “an extraordinary debut” written “in the tradition of the prophets…” I believe she is right on both counts, and A Beautiful Disaster will appeal to those who hunger for accessible ways to develop “a prophetic imagination” or who need reminders and insight about living with integrity in the world. This is not idealized or romantic or personalized piety; it is the sort of book that is life-giving and a practical to living the faith in the real world. It is not overly cheery or simplistic. Yet, I was drawn to Marlena’s writing – and once we met at the Calvin College Festival of Faith & Writing, also to her as a person – not firstly because of her social concern or cultural relevance. I liked her because of her joy, her positive faith, the way she could couple those two striking words in the title, beautiful and disaster. A lesser writer or less mature thinker might sound too chipper or sentimental or hopelessly out of touch with the real awfulness of the disasters of our lives (the “joy of the Lord” is our strength, don’t you know?) But Ms. Graves strikes the good balance, honest about her own hard times and the brokenness of the world and yet the real hope and the power of the gospel. Three cheers for this kind of balance — honesty and hope, the prophetic and the pastoral. She narrates her life of being raised in rural poverty and the complications of being an ethnic minority in her community with moving prose, but no sensationalism. In fact, despite a less than normal upbringing and some tragic episodes – are the dysfunctions of families with addiction and mental illness ever normal? Are any of us ever normal? – she writes without self-pity. She is candid about the times when life is dry, barren, cold and hard. The motif of the book is wilderness: the first half is called “My Wilderness Life” and the second section is called “Wilderness Gifts.” And therein lies the beauty. 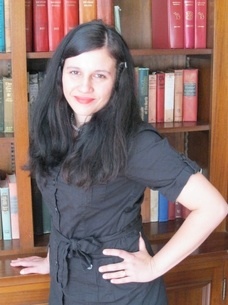 Marlena has been shaped and somewhat mentored by (and has spoken for) the Renovare movement (founded by Richard Foster) and has become fluent in the literature of the desert mothers and fathers, the monks and mystics, monastic spirituality and contemplative theology, Quakers and charismatics. She quotes widely, but not obtrusively, nearly anyone who is significant in this movement, from Richard Foster, Dallas Willard and Emily Griffin, to James Bryan Smith and Jan Johnson. Also, she is fluent (and has obviously taken to heart, as her story reveals) the best of the classics such as Gregory of Nyssa, St. John of the Cross, Bernard of Clairvaux, Jean-Pierre de Caussaud, Practicing the Presence of God, Carlos Carretto, Thomas Merton, Henri Nouwen, Richard Rohr. Since she is developing a sort of contemporary desert theology, you can see why she draws on these monastic sorts of sources, reviving them for our own very contemporary use. She is remarkable in her ability to do this, making this a wonderful resource for anyone reading in spiritual formation, seeking greater grace for centered living. I love books that cite cool contemporary writers (Booked: Literature in the Soul of Me, by Karen Swallow Prior, say, or Tattoos of the Heart: The Power of Boundless Compassion by Gregory Boyle) as well as classic evangelicals (Andrew Murray, John Stott.) How many books cite Woody Allen and Frederick Buechner? Linkin Park and Miroslov Volf? I’m telling ya, if you like good writing, informed by great writers and important thinkers, this is a lovely, impressive, and truly insightful work. And she does fine Bible reflection, too, retelling stories in helpful way. As she explains, she read the Bible a lot, even as a child, and her love of Scriptures and her awareness of how to stand in the stories is a gift. Marlena Graves’s gentle wisdom, pastoral tenderness, and graceful conviction strengthen my soul. Meditating on Scripture and the wisdom of the desert mothers and fathers, she offers a balm to the hurting and hope that our dry and weary times will, with God’s help, bloom into something beautiful. The forward to this good book is by John Ortberg (you may recall how I raved about his recent Zondervan book, Soul Keeping) and his daughter, Laura Ortberg Turner, bringing together two generations, two sorts of persons following Jesus, both who have experienced doubt and dryness. Their affirmation of Marlena as a trustworthy guide and good writer is really wonderful and should underscore that this is a fine, fine book, by a woman with a lot to say. Let’s hope this book sells well, not only because it brings balm to readers and helps us “find hope in the midst of brokenness” but so that she becomes well known. I bet Marlena Graves has more to say, and we should be prepared to listen. Start with A Beautiful Disaster.